Interested in exciting your guests with succulents as favors? We can help! Give you guests the gift of succulents for your next big event! 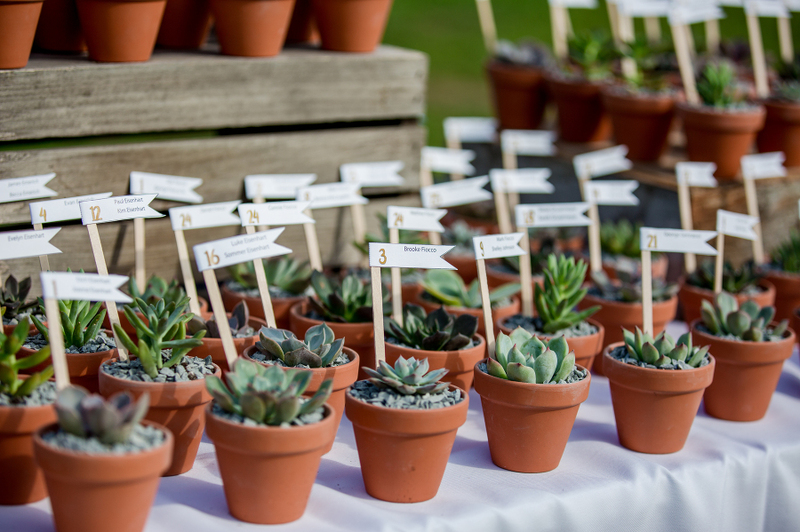 A popular wedding, bridal shower or baby shower favor - we offer succulents for purchase by the flat. Select from 2 different sizes, as shown below. We require all orders to be finalized 2 weeks prior to your event. To inquire about ordering, please fill out the form below. *Terra cotta pots are available for order at an additional cost. All 1.75" succulents come in terra-colored round plastic pots. Our 2.75" succulents come in a mix of black and terra-colored square pots. 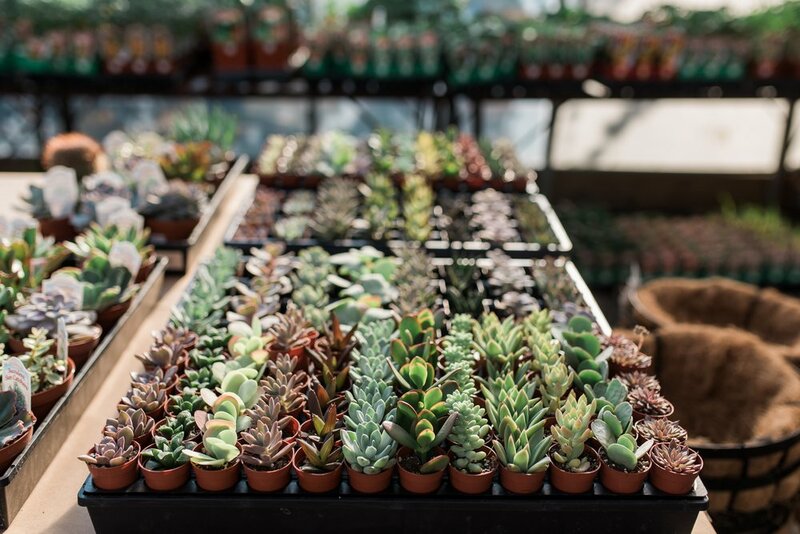 Perfect for large guest lists, buy our 1.75" succulents by the flat. Each flat of 72 succulents is $148.50, before tax. Great for smaller parties, buy our 2.75" succulents by the flat. Each flat of 32 succulents is $84.00, before tax. Please input the date of your event that you would like to order succulents for! We offer succulents in 1.75" and 2" plastic pots, by the flat. See the details above! We sell succulents by the flat for events. Each size comes in a different flat quantity, see details above! Thank you for your interest in bulk ordering succulents from Bast Brothers Garden Center! Please allow us up to 48 to respond to your inquiry.